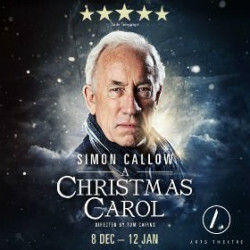 We have a great selection of cheap A Christmas Carol with Simon Callow tickets. We can help you save up to 70% on A Christmas Carol with Simon Callow tickets! If you're looking for discount theatre tickets have a look below for our latest offers for A Christmas Carol with Simon Callow at the Arts Theatre. Valid on 2-3 Jan & 7-10 Jan 2019.. . Valid on all performances from 31 Dec - 12 Jan 2019.. .
Simon Cowell is excellent, once the lights are dimmed and the story begins we were captivated from start to finish. The theatre itself however, is a different story, uneven floors, chipped paint, broken toilets it is a disgrace and I would not attend another production at that theatre, however good the show promised to be. It is a one act play in which Simon Callow shows a brilliant performance. It is not for kids however. Simon Callow draws you in to the story with superlative acting. Absolutely a great performance. Simon Callow played all character of the Dickens novel through his outstanding acting. A hard thing to do, exceptional acting! Being close to the front, seeing each individual expression was great as it was Simon Callow alone. Would really recommend this show! one solo show - spectacular! 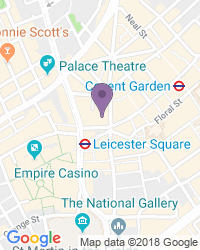 Use the search box at the top left of this page to search for A Christmas Carol with Simon Callow tickets availability.